Scott #RA 01, MNH 50 Dinar, vertical strip of 3, Unwmk. Scott #RA 09, MNH, 2 Rial, Block of 4. Scott #RA 09, MNH, 2 Rial, Corner Block of 4. Scott #RA 09, MNH, 2 Rial, large corner Block of 8. 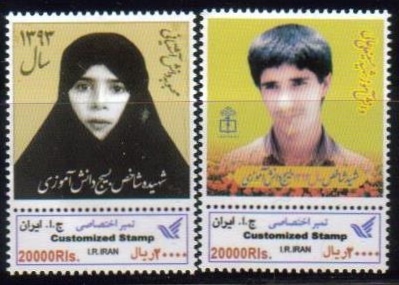 Scott #RA 09a, MNH, 2.5 Rial, a single stamp. 02. Scott #RA 09a, MNH, 2.5 Rial, a single stamp. 04. Scott #RA 09, MNH, 2 Rial, Block of 4. Scott #2739-42, Martyrs, set of 4.